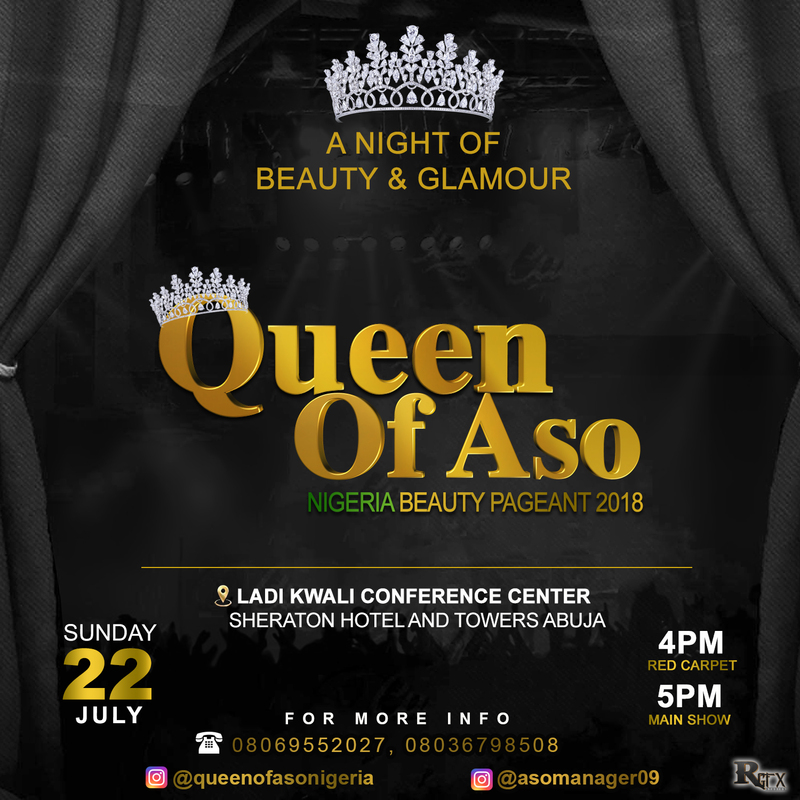 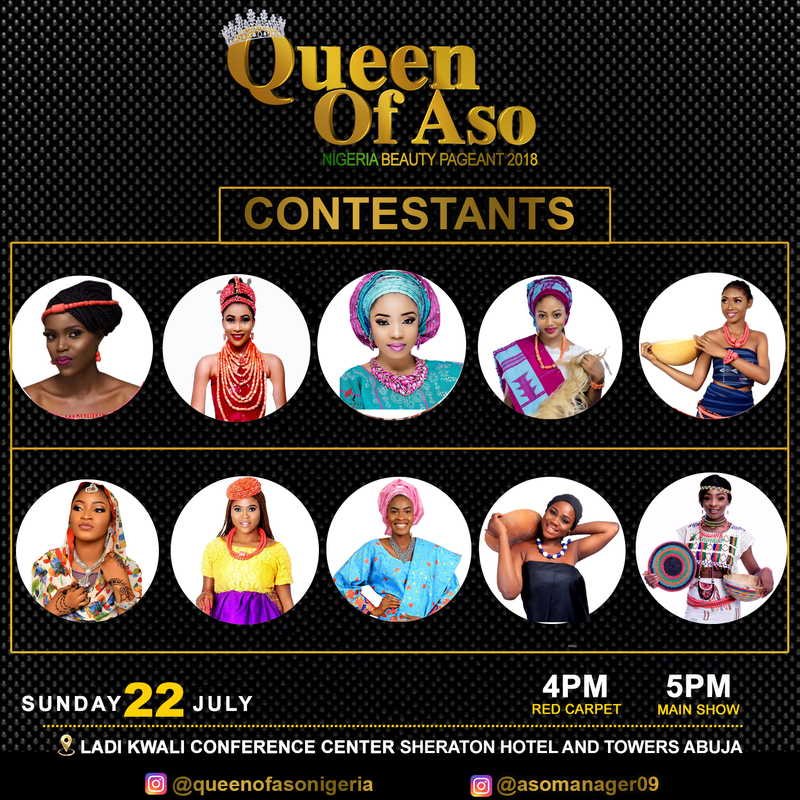 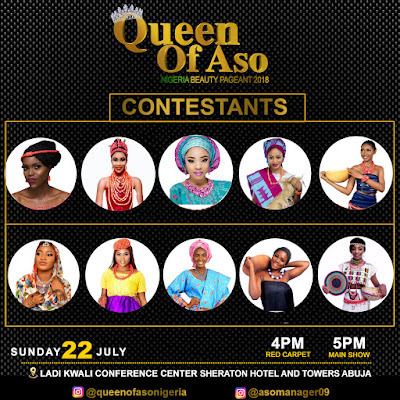 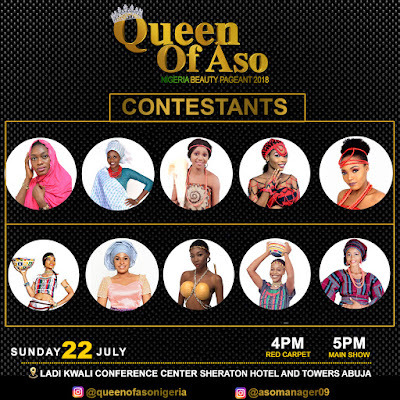 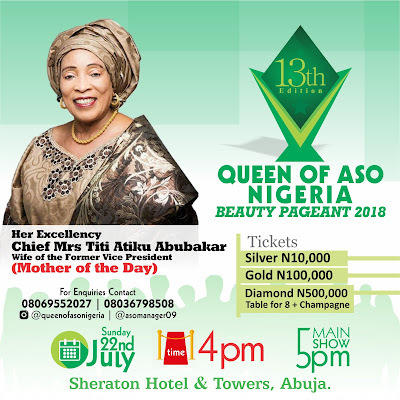 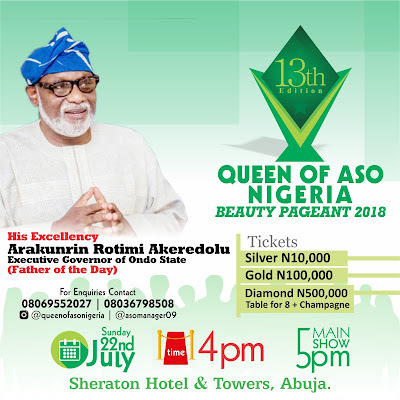 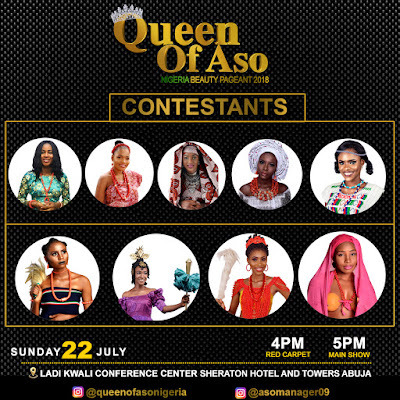 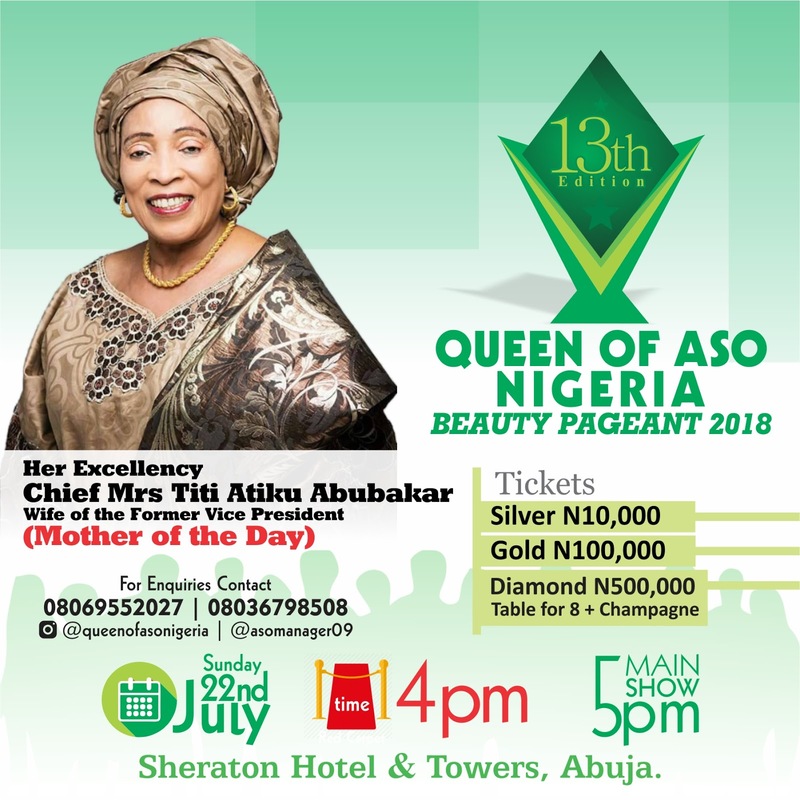 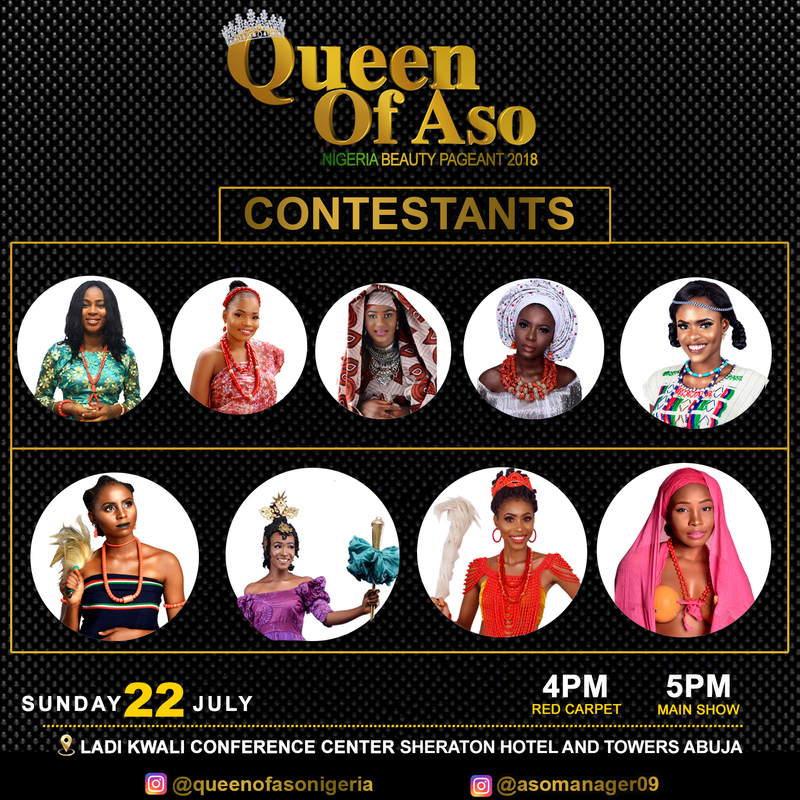 The 13th Edition of Queen of Aso Nigeria 2018 will hold on Sunday 22nd July 2018 at the Ladi Kwali Conference Center,Sheraton Hotel and Towers Abuja by 5pm,Mother of the Day will be Her Excellency Chief Titi Atiku Abubakar- Founder WOTCLEF and the Wife of the President -Her Excellency Hajia Ashia Buhari will be the Special Guest of Honor along with other prominent Citizens. 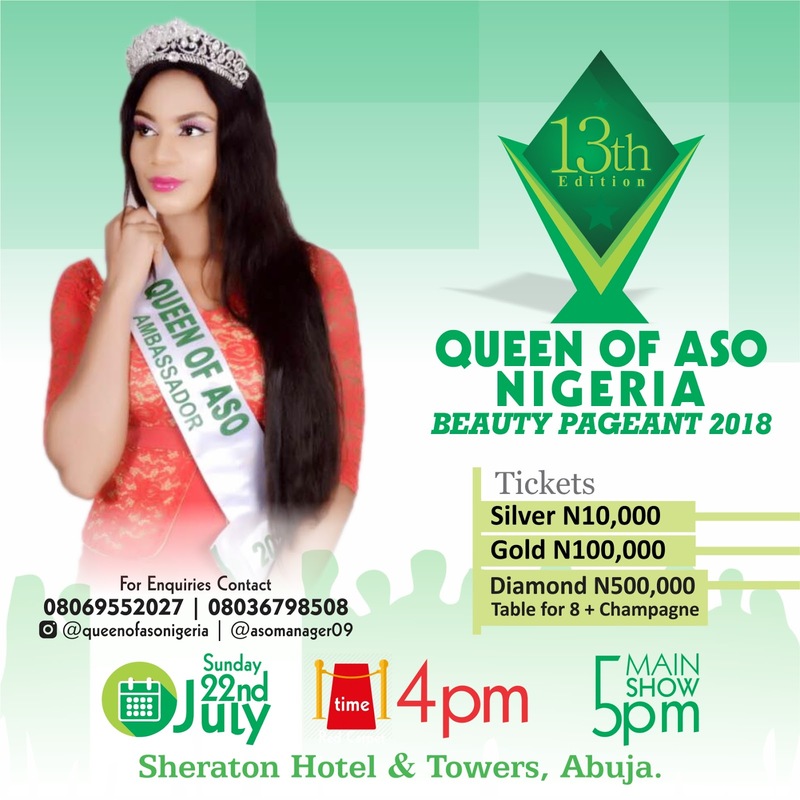 It is one event you cant afford to miss!! !